In recent years a growing number of citizens have defected from the major parties to third party presidential candidates. Over the past three decades, independent campaigns led by George Wallace, John Anderson, and Ross Perot have attracted more electoral support than at any time since the 1920s. Third Parties in America explains why and when the two-party system deteriorates and third parties flourish. 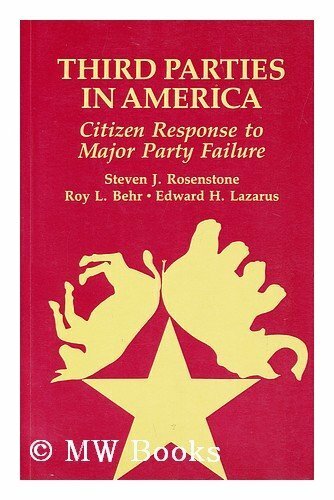 Relying on data from presidential elections between 1840 and 1992, it identifies the situations in which Americans abandon the major parties and shows how third parties encourage major party responsiveness and broader representation of political interests.